Producers typically make only 500 feature films per year, and more of those every year come from established properties like TV shows, novels and comic books. Estimates for the number of spec screenplays written in the U.S. each year range from 50,000 to 100,000, so the odds are against your screenplay getting made into a feature film. With so many producers receiving so many scripts, how do you get them to buy yours? Just like movie audiences can tell if a movie will be worth watching in the first five minutes, most screenplay readers determine if a screenplay is worth reading in the first three to five pages. You must answer five basic questions in the first five pages of your screenplay to keep the reader's interest. The opening image of your screenplay must show the reader where and when the story takes place. You can put this in the opening slugline or scene description, but you must build on it during the first page. Your setting includes more than just a date and a place, but also the social, political, religious and economic conditions the characters face at the beginning of the story. The Gothic horror film We Are What We Are starts in an isolated Appalachian town during a heavy rainstorm. Screenwriter Nick Damici and writer/director Jim Mickle use the setting to establish the dark and oppressive mood for the entire story and to draw the viewer into the creepy world of the Parker family and its “traditions”. The first five pages of your screenplay also serve as the reader's first glimpse into the lives of your main characters. By Page 5, the reader should know the protagonist, the antagonist and the major supporting characters. While you don't want to tell their entire life histories in the first five pages, you want the reader to understand who these people are and their roles in your story. Writer Ben Karlin and writer/director Stu Zicherman show the statuses of their main characters early in their script for the comedy A.C.O.D. 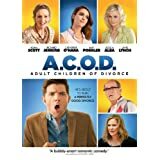 The script opens with a married couple (Catherine O'Hara and Richard Jenkins) in a heated argument at their son Carter's (Adam Scott) eighth birthday party. The audience gets the immediate impression of Carter's unhappy childhood and his attempts to distance himself from this toxic family atmosphere. Not only should the first five pages of your screenplay introduce the characters to the audience, these pages should also establish how the characters relate to each other. The points emphasized in last week's post on the importance of conflict in every scene are even more vital in the opening scenes. These initial scenes show the audience the core conflict that will drive the rest of the story. 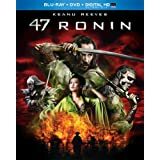 In 47 Ronin, writers Chris Morgan and Hossein Amini use their first five pages to show the relationships between “half-breed” Kai (Keanu Reeves) and the other characters. They show his loyalty to his master, Lord Asano (Min Tanaka), his love for Asano's daughter Mika (Ko Shibasaki) and his rivalry with the samurai Oishii (Hiroyuki Sanada). When some writers take the time to establish the setting and characters in the first five pages, they often forget to start the action of the story. Readers will regard these pages as a pleasant introduction, but will quickly become impatient for more action. Your screenplay must move the story forward as soon as possible. You can start the action either immediately after introducing the characters and setting or allow the audience to learn about the characters as the action moves along. 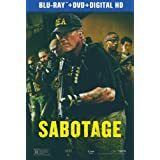 In the Arnold Schwarzenegger movie Sabotage, the action starts with Breacher (Schwarzenegger) and his team raiding a drug kingpin's mansion. Screenwriters David Ayer and Skip Woods establish the setting and the relationships between the team members amidst the gunfire and explosions while keeping the action moving. The goal of the first five pages of your screenplay is to make the reader want to get through the entire script. Producers and their script readers receive dozens of new scripts every day, so they don't have time to read a script that doesn't engage them until page 10 or 20. Your images, characters, conflicts and actions in the first five pages must be so compelling that the reader will not want to put your script down to answer the phone, eat lunch or go to the restroom. The Jason Bateman comedy Bad Words starts with Guy Trilby (Bateman) sprinting out of an elementary school spelling bee with the trophy. Writer Andrew Dodge uses this opening to show how a ridiculous premise – a 40-year-old man competing in a kid's spelling bee – can make for a compelling story. If you don't attract a reader's attention in the first five pages, whatever you do in the rest of the script doesn't matter. You can still save the best for last, but you must make a memorable first impression with your opening pages. E-mail us at StoryIntoScreenplayBlog [at] gmail [dot] com to learn how to make your script stand out from the crowd. We specialize in developing ideas, characters and concepts into powerful and memorable stories. Also, remember to Like us on Facebook and follow us on Twitter to get the newest updates.